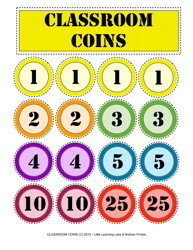 These coins can be used in math or for behavior. The come in: 1, 2, 3, 4, 5, 10 , and 25's. 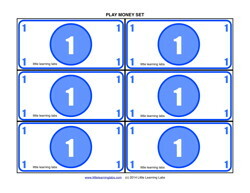 Print a page with all of them or of individual denominations. Each bill is a different color, to help differentiate if you can print in color. Coins are also different colors and sizes to help differentiate them more easily.